New technology, regulation, or another factor renders all or part of existing system obsolete. Deterioration of operating components from use. Procedural requirements that are overly burdensome in the current business environment. Outright failure of portions of the system due to unforeseen events. Abandonment of, or major changes to, all or part of the process. There are certainly more events and circumstances that can lead to consideration of a control system overhaul or replacement. Numerous paths can be charted to resolving a control system challenge of large magnitude, each with a set of costs, technical hurdles, logistics, and time constraints that must be considered. Successful project completion will likely require the services of outside vendors and contractors with expertise in areas of concern. Having global and local expertise on board will help your DCS project proceed expeditiously from concept and planning through implementation. Reach out to a DCS expert with your concerns and challenges, then combine your process knowledge with their product application expertise to build an effective solution. Multifunction Calibrator Keeps Process Instruments "In Tune"
Industrial process operations are populated with sensors, transmitters, and other measuring instruments of many varieties. This instrumentation is not installed without good reason, with each data point providing valuable and necessary information with regard to process status and safety. Regular maintenance and calibration of measurement instrumentation is a necessary part of maintaining quality, efficiency, and safety. With so many different types and manufacturers of instruments, purchasing and maintaining calibration equipment can become and unwieldy process in itself. GE Measurement & Control meets the challenge by incorporating numerous calibration capabilities into a single high accuracy unit with flexibility and ease of use. 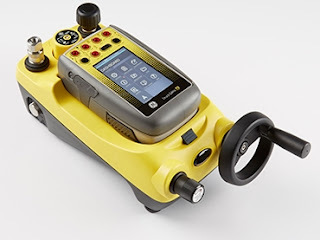 The unit can simultaneously source and measure an extensive array of signals, providing capability to use a single calibrator for a long, maybe even complete, list of instruments installed at your site. Utilization of the multifunction calibrator can potentially reduce the total number of instruments in your calibration shop, with a commensurate reduction in cost, documentation, and time commitment to keep your calibration instrument arsenal ready for use. A datasheet with all the details is included below. Browse the data sheet and reach out to a specialist with your calibration requirements and challenges. Work together to develop an effective solution for your operation. GE Advanced Modular Calibrator for Process Measurement Instruments from Flow-Tech, Inc. 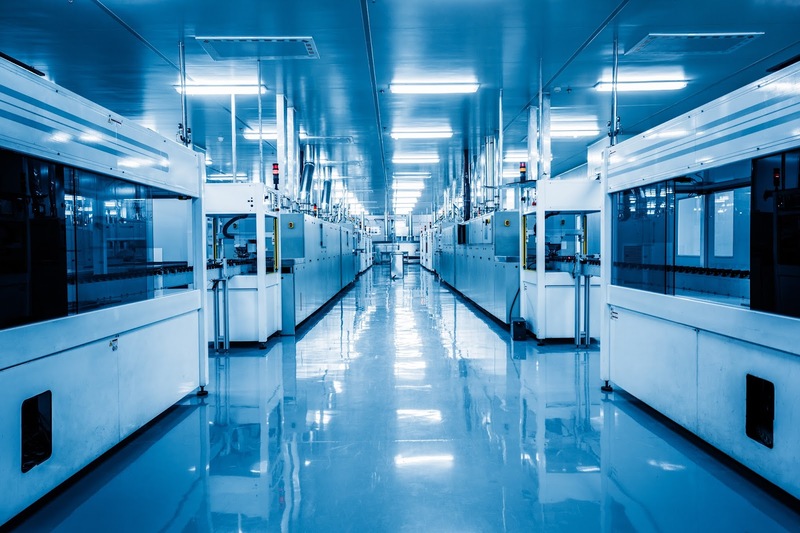 Thermal dispersion, as a method of process measurement, relies upon precise temperature measurement and, in some cases, the ability to measure heat input. The principal is fairly simple, based upon the relationship between two temperature measurement points in the subject fluid. One is heated by the control system in a known manner, the other is not. Whether measuring fluid flow, or functioning as a liquid level or interface switch, the relationship between the two temperature measurements can provide the needed information reliably, accurately, and without any moving parts in the measurement system. Fluid Components International utilizes these physical principals in the operation of their FlexSwitch line of thermal dispersion measuring instruments. By combining modular components in various ways, the company offers switches suitable for applications across a wide range of industries. More information about the FlexSwitch line of thermal dispersion based switches is provided in the document below. For best results, share your project requirements and challenges with a product application specialist. Combine your process knowledge with their product application experience and develop effective solutions. 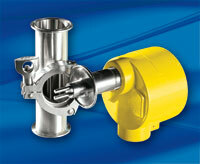 Thermal dispersion switch for flow, level, interface, or temperature from Flow-Tech, Inc. This video covers the Servomex line of portable gas analyzers that can be utilized as benchtop units or true carry around portables. Servomex has a long history of solid instrument performance and innovation in gas detection and analysis. Share your gas detection and analysis requirements and challenges with an application specialist, combining your process knowledge with their product application expertise to develop effective solutions. Industrial sites that employ or produce hazardous or toxic gases have a high level of responsibility for protecting workers and the environment from exposure or harm. 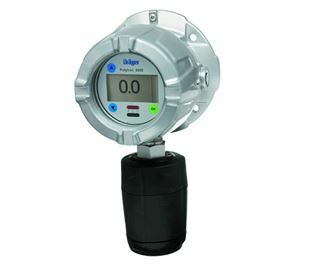 A significant component of efforts to mitigate the risk posed by toxic gas or vapor is to install instruments capable of detecting the target gases at levels sufficient to provide an alert before, or when, levels reach unacceptable concentrations. Dräger manufactures gas detectors utilizing electrochemical sensing technology, providing continuous detection of target gases and vapors under a wide range of environmental conditions. The sensors are factory calibrated and ready to use when shipped. The sensor connection is intrinsically safe, so a flame arrestor is not needed. Intelligent self-testing provides predictive maintenance assistance. There is more to learn about the toxic gas and oxygen sensors from Dräger. The document included below provides a guide to the over 100 toxic gases and vapors detectable by the unit. Share your toxic gas, vapor, and oxygen detection challenges with a product application specialist. The combination of your process knowledge with their product application expertise will produce effective solutions. Detectable toxic gases and vapors from Flow-Tech, Inc.